Staying with the urban parks theme from last week’s posting…with over 900 km of bike/walking paths in Calgary, it’s very easy to get out and enjoy the fresh air and some lovely scenery. Today my daughter and I took an hour to explore just a fraction of the Elbow River Pathway, which is only a mile or so from the city centre. 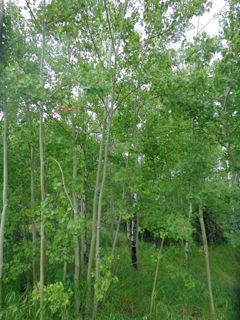 Although it was a warm day, 23C, there was a lot of cloud cover which is unusual in Calgary which is famous for its big blue skies. 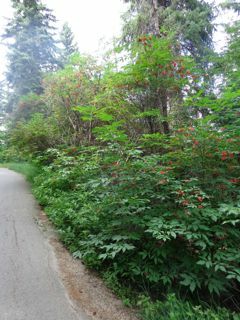 We started from the south end of River Park and headed towards the Glenmore Reservoir. If you’re not familiar with Calgary, you might not know that the city experienced a devastating flood in June 2013. 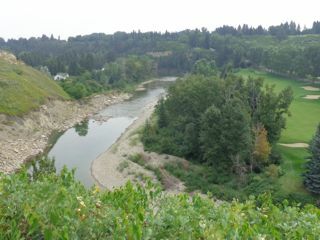 Although this year the river is at a very low-level, if you look towards the left hand side of the photo above, you can get an idea of how much erosion the flooding caused. We made our way past woodland to our right and the river valley to our left, stopping for a while for a bite of lunch. Then it was out across the Glenmore Dam. The first photo is taken from the dam itself. 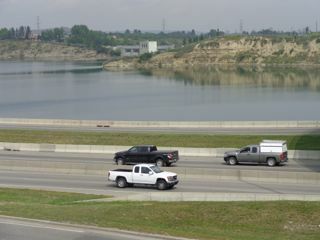 In the second you can see the dam in the distance as we crossed over Glenmore Trail, one of Calgary’s main thoroughfares. Fortunately the roar of the traffic didn’t last long as within minutes we were back in the peace and quiet of the pathway. 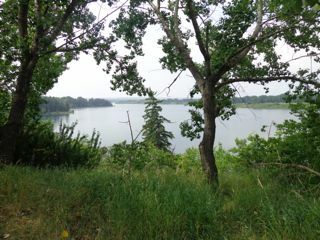 We ended our walk just outside the Rockyview Hospital which has the most wonderful views across the reservoir. (On a clear day you can see the peaks of the Rockies in the distance.) 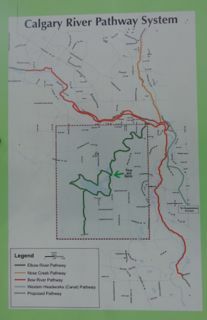 Had we walked a little farther, we could have reached Heritage Park which I’ve talked about in a previous post, but we were short of time, so we headed back towards River Park again. In total, our walk took us just over an hour – including stopping for lunch – and there were times it was hard to believe we were so close to downtown. If you’re interested in finding out more about Calgary’s pathways, please click on this link. 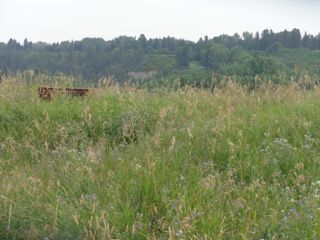 Calgary is a gorgeous city and we’re so fortunate to have so much open green space within the city boundaries. Whether you’re a local or a visitor, consider taking an hour to pull on a pair of walking shoes and explore some of our amazing trails. 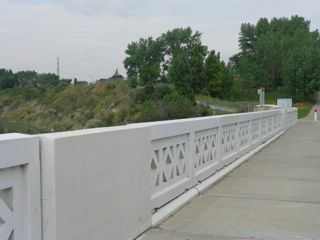 This entry was posted in Travel and tagged Calgary, Calgary River Pathway System, Elbow Park Pathway, Heritage Park, RiverPark. Bookmark the permalink.